This is in response to a request from a Live and Loud! listener - always happy to take requests (even though this did take a year to sort out! 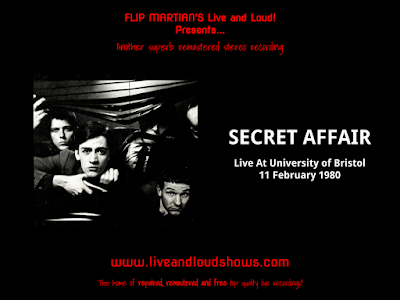 Sorry about that) It's mod revival band Secret Affair in a 1980 set originally from an FM broadcast. Most of the material comes from their debut album, Glory Boys, released just a couple of months earlier, but also a version of When The Show's Over, which would appear on the 2nd album later that year, Behind Closed Doors. This was generally a fairly clean recording in good condition so not much repair work this time. Careful use of a 30 band EQ was applied to bring the instruments and voices into focus and open up the spaces in between and I finished off with some mastering tools to bring everything into focus a bit and make it sound punchy. The finished result is a powerful, clear stereo recording which really does sound good. 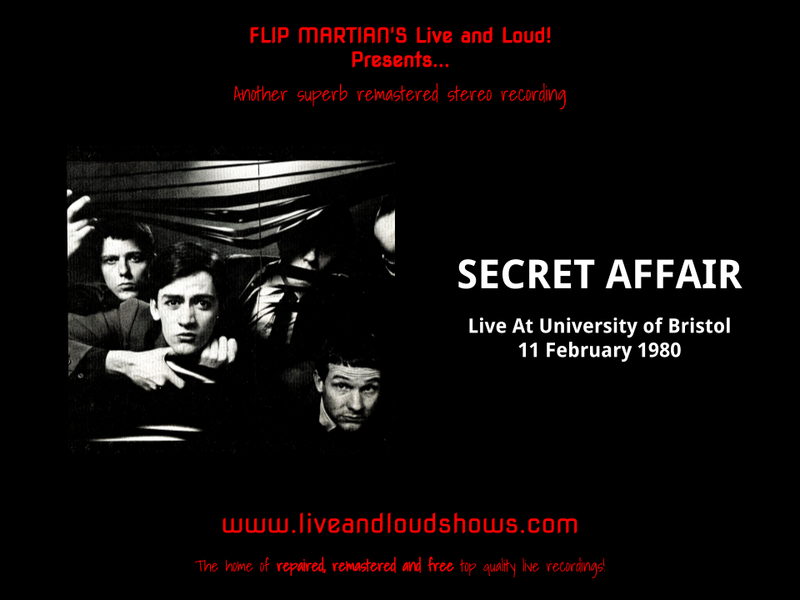 The show is available to download here as 1 MP3 file. Or, if you would like to have separate tagged MP3s, or even lossless files in FLAC format, head on over to the Donations tab to see how you can obtain these for a very small donation towards the site costs.